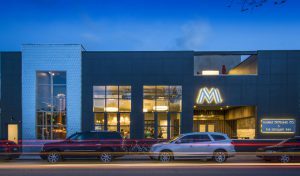 USGBC Colorado honored the Marble Distilling Company design for its exceptional implementation of sustainable technologies with a 2015 Commercial Real Estate Award. The distillery’s integrated systems approach utilizes the heat from the distilling process to heat the distillery, tasting room and Inn as well as recaptures that heat and water for utilization in the distilling process and for domestic use. With these measures, the building is 85 percent more efficient than local code requires. Confluence Architecture is honored to be part of a great team that made this possible. Congratulations to Marble Distilling Company, Energy and Sustainable Design and the whole team! Read more here. Posted in: Architecture, Community, Design, Energy, Sustainability.